At least 40 children were killed in Thursday’s raid which hit the bus as it drove through a market of Dahyan, a town in Saada, the armed Houthi group which controls the province said. Cars bearing the logo of the Iranian-aligned Houthi movement transported the bodies, wrapped in white shrouds, from the hospital to a large square for prayers before heading to the graveyard, where rows of graves were dug on Friday. “For my son, I will take revenge on Salman and Mohammed Bin Zayed,” he said, referring to leaders of Saudi Arabia and the United Arab Emirates. The Gulf Arab states are leading the alliance of Sunni Muslim countries that intervened in Yemen’s war in 2015 to try to restore the internationally recognized government that was expelled from the capital Sanaa by the Houthis in 2014. The coalition said on Friday it would investigate the strike after U.N. Secretary-General Antonio Guterres condemned the attack and called for an independent probe.But on Saturday, the Saudi state news agency SPA said Saudi Arabia’s mission to the world body had delivered a message to Guterres reiterating that the military action was “legitimate” and had targeted Houthi leaders responsible for “recruiting and training young children”. The Houthis’ health minister Taha Mutawakil said last week that the estimated number of casualties stood at 51 killed including 40 children, and at least 79 people wounded, of which 56 were children. The International Committee of the Red Cross reported the same toll on Friday, citing authorities in Saada. A US military spokeswoman said US forces were not involved in Thursday’s air strike. The US State Department urged the Saudi-led coalition to “conduct a thorough and transparent investigation”. 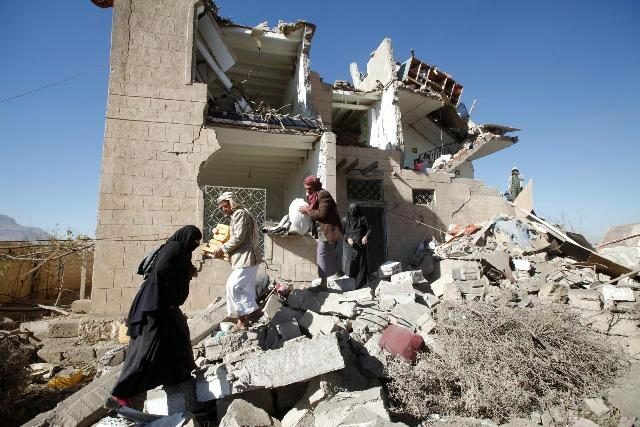 The Houthis have also been criticized by rights groups. The UN special envoy to Yemen has been shuffling between the warring parties ahead of holding consultations in Geneva on Sept. 6 in an effort to end the conflict that has killed more than 10,000 people and pushed the impoverished Arab country to the verge of starvation, according to the United Nations.